Description: Akva Deco Waterbed with Headboard. 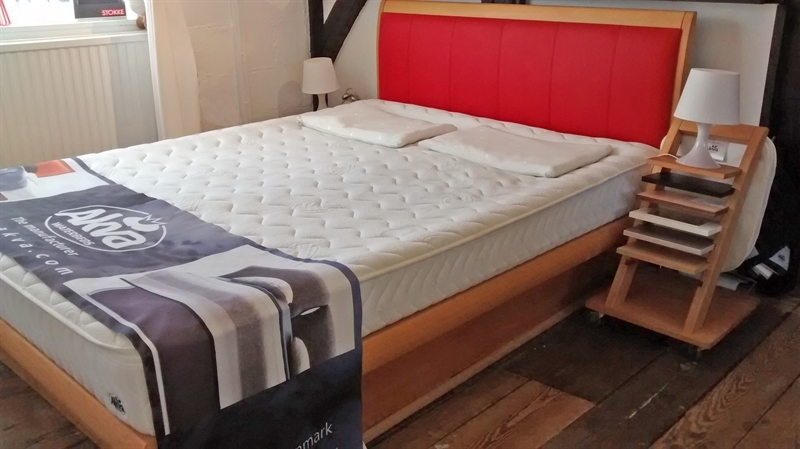 This superb waterbed with hardwood surround and leather inset Headboard has been the star or our showroom in Bristol. We'd rather sell it than store in while we renovate our bed area. Oiled Beech Surround with a single F6 mattress 150 x 200 cm with a single Massage unit on one side.